As I mentioned before, I am currently studying for the JLPT N1. In addition to this, I am also considering taking the Kanji Kentei in June (which I will do a separate post on). 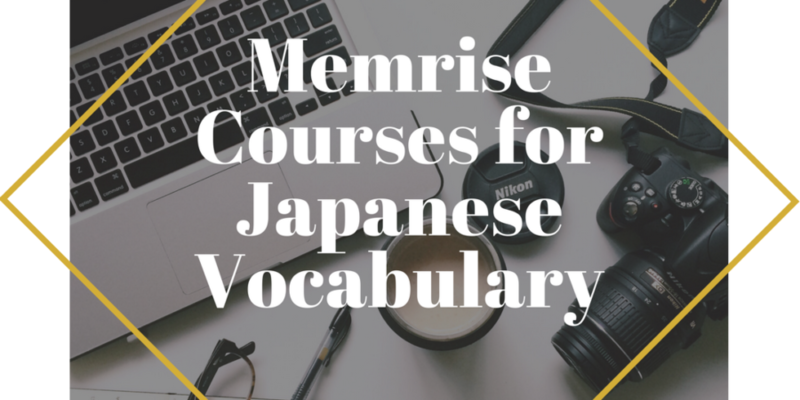 As part of my JLPT studies, I use Memrise to drill vocabulary and kanji. I don’t think Memrise is enough on its own to learn vocabulary. However, when used in combination with other methods, it is helpful. The links posted below are Memrise courses that I’ve been using. Since starting, I can say that I do come across a lot of these words relatively often. I also believe they’ve made a difference in my reading so far as well, which is why I recommend them. I don’t use every one of these every single day, but I do make sure to at least do the reviews every day as well as at least 5 of them. I find them to work well with the books as you can learn the words and then quiz them in context. However, if you don’t have them, they’re still a great way to gain exposure to new words. Hopefully, this helps you with your studies!